Fifteen times a week on average, Robert Schwarcz, MD, a New York City–based cosmetic surgeon, injects patients with Botox. For certain individuals he also writes down a phone number on a piece of paper and tells them to make an appointment. It's not for a dermatologist or a colorist with a flair for youthful-looking highlights. The number is for Angela Kulangi, a facialist at Total Skin, a day spa that specializes in electric facials that deliver, via small wet sponges, low levels of microcurrent—1/1,000,000 of an amp (a light bulb runs on less than one ampere)—to stimulate the muscles of the face and neck. "If the patient has been using neurotoxins for more than three years, and if she has genetically thin skin and slim facial musculature, I'll make a gentle suggestion for her to see Angela," says Schwarcz. "I like the idea of providing a plumpness to a nonactive muscle and generating controlled muscular activity." This same youthful fullness is what everyone who opens a jar of hyaluronic acid cream or books a filler session is attempting to retain or replicate. And it's not that the botulinum toxins—Botox, Dysport, and the recently FDA-approved Xeomin—are in direct opposition to that end. In fact, the toxins do not act directly on muscles—they bind to neurotransmitters, preventing them from signaling muscles to contract. Initial medical use for the toxins wasn't even related to wrinkles or anti-aging. In 1980, doctors began using it to quiet uncontrollable blinking and relax muscles that cause eyes to cross. The cosmetic neurotoxin revolution began in 1987, when two Vancouver-based doctors discovered the neurotoxin's smoothing effect on "the elevens," the frown lines between the eyebrows. Derms and nonderms alike promptly took it one better, using injections to create lift. When a neurotoxin is shot into a muscle that pulls downward, say, in the brow area, the antagonist muscle that pulls upward is left unopposed to dominate. Add to that carefully placed injections to relax the frontalis muscle, which creates the "worry lines," those horizontal ones across the forehead, and doctors could mimic the effect of a brow lift without picking up a scalpel. If a muscle is immobilized, even temporarily, "it will use less energy and have a tendency to atrophy," says skin physiologist Peter Pugliese, MD, author of the textbook Physiology of the Skin, who notes that researchers soon figured out how to make this atrophy yield short-term aesthetic benefits. Dermatologist Fredric Brandt, MD, whose New York and Florida–based practice is the largest user of Botox in the world, explains that one can, like a sculptor, dramatically slim the jawline by injecting a large amount of a neurotoxin into the masseter, the primary "chewing muscle" that runs along the side of the face. "It is reversible," Brandt says. "But one treatment will last for a year." However, atrophy can have a downside—which is where, for some doctors, electric facials come in. These doctors believe that, in the wrong hands over time, neurotoxins could cause the face to lose desired fullness, and so they are prescribing microcurrent as a noninvasive companion to neurotoxin injections to diminish any loss in muscle tone. In fact, dermatologist Nicholas Perricone, MD, steers his patients away from using neurotoxins at all, believing microcurrent, plus the right diet and topicals, to be the best anti­wrinkle strategy. Electric facials, whether done at home or in a spa, he argues, help build "convexities" in the face. "Convexities are what make you youthful," he says. "That is critical. If you look at the cheekbones, the forehead, the temples, the jawline of someone young, they come out in an arc away from the face. They bulge out. Around the age of 40 to the midfifties, the convexities go flat. From 60 up, they can go concave. Electrostim keeps the muscles plump and active, preventing or correcting loss of the convexities." The idea of using electric current to stimulate muscles sounds both high-tech and barbaric, but in truth it has been in practice for hundreds of years. For that we can thank Jean Jallabert, a professor in Geneva, Switzerland, for credibly reporting in 1748 that he alleviated paralysis in a locksmith's right arm by using a 90-minute series of electric shock sessions over the course of several months. In 1982, researcher Ngok Cheng, MD, at the Catholic University of Leuven, Belgium, led a study that provided hard evidence of microcurrent's role in cellular vitality by proving that microcurrent increased levels of ATP—the fuel a cell needs to function—in lab-rat skin cells by 500 percent. Orthopedic surgeon Robert Becker, MD, compiled multiple studies in his 1985 tome The Body Electric, citing the role of electricity in cell regeneration. For decades, microcurrent has been used in different frequencies and waveforms to treat everything from wounds to migraines to chronic pain. Professional athletes and anyone who has had physical therapy have often experienced an electrostim machine, as orthopedists routinely prescribe microcurrent to aid in the repair of ligaments and muscles. On a muscular level, the microcurrent acts like a personal trainer to tone and shorten muscle fibers. On a dermal level, as Pugliese, the skin physiologist, notes, there is serious anti-aging action going on. Pugliese has spent more than five years analyzing microcurrent's effect on fibroblasts by biopsying skin before and in between microcurrent treatments, and has found a statistically significant increase not only in the production of collagen and elastin, the skin's main structural proteins, which degrade with age, but in that of glycosaminoglycans, or "GAGs," the viscous material in which the proteins are embedded. "When you see a nice plump cheek like a baby's and you pinch it and it feels very good and snappy," he says, "that's GAGs." And, according to Perricone, the long-term benefits are more than skin-deep: If you have a microstimulation machine, "you don't have to have perfect genes," Perricone says. "When I first started working with celebrities, I assumed they were genetically gifted and had perfect symmetry." But now he knows that symmetry can be made: "Not only can we use electrostim to increase our muscle mass, we can accentuate one side of the face by working it harder than the other to give a more symmetrical appearance." Electric facials are on the menu everywhere from Perricone's New York flagship spa to Four Seasons hotels to Elizabeth Arden's Red Door salons. Professional-grade microcurrent machines emit a positive and a negative current via two wands, probes, or sponges. When the probes are placed a few inches apart on the face, a circuit of current travels from one point to the other and "stimulates" the tissue in between, Perricone says. The current is subsensory, which means all one feels is the gliding of the rods and perhaps a slight tingle. Customers often fall asleep midfacial. The other option is to DIY with an at-home device. Suzanne Somers teamed up with engineer Rodger Mohme, who previously led the team at Apple to shrink a desktop computer down to laptop size, to create the FaceMaster, a vanity-table version of a large in-spa machine. 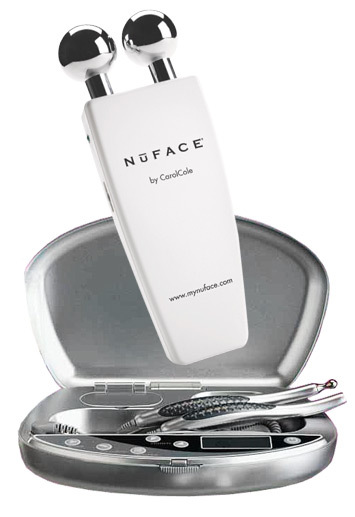 The only handheld microcurrent device with FDA approval is the NuFACE, created by Carol Cole, a SoCal facialist who got tired of lugging her gigantic machine up into the Hollywood Hills. It emits the same level of current as a pro machine (you can get a 30-minute poolside NuFACE treatment at the Four Seasons Maui for $125), but the micro-amps deliver via two fixed metal probes. ELLE editors tested both the FaceMaster and NuFACE in our offices and found they instantly increased circulation for that glowy, plump-but-not-puffy look that lasted for a few hours. But, in our untrained hands, the DIY could not provide microcurrents' more sophisticated, bespoke effects. With the right expertise, microcurrent can be used to dramatically, if temporarily, shape the face. 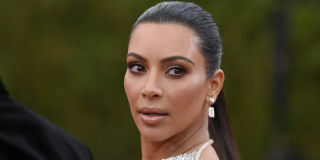 It's no wonder celebrities have become insatiable consumers of electric facials, especially during awards season. "The pop lasts for about five hours," says facialist Melanie Simon, whose skin-care company, Circ-Cell, is partially backed by Lynn Harless, aka Justin Timberlake's mom. 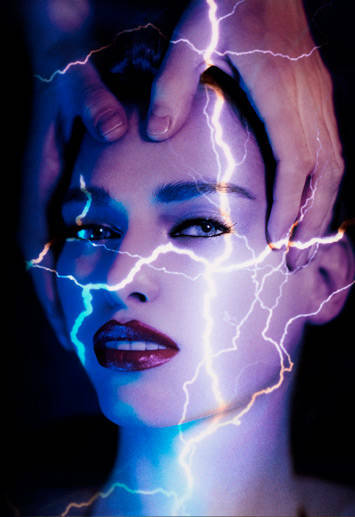 Madonna and Kate Winslet are outspoken fans of Tracie Martyn's trademarked Red Carpet Facial, a proprietary treatment that incorporates mild electrical current. Regular microcurrent sessions were rumored to be Princess Di's beauty secret. And according to an industry source, J.Lo just spent $22,900 on her own professional-grade CACI Ultra (no word on whether she's administering them herself). Depending on where the probes are placed, either above the origin or insertion point of a muscle, and how many seconds they're held there, users can smooth a furrowed area by stretching the muscle or add lift by shortening the muscle. "If you lift from the cheekbones toward the hairline, it will make your eyes more almond shaped," says makeup artist Kristin Hilton, who travels between New York and L.A. to work on clients including Uma Thurman and Milla Jovovich. "You can even create an arch in the eyebrows." Hilton keeps NuFACE in her makeup kit so she can "sculpt and lift" before she applies a client's makeup. "I'm a skeptical person," Hilton says. "For me to like something like this is unusual. But I use it for five minutes on each side, pulling upward. Everything's tighter. You look more awake. People know something's different, but they don't know what. Usually they say, `Did you get your hair cut?'" The exact protocol for combining Botox and microcurrent has yet to be written, but most proponents agree to wait a few weeks post-injection before getting a facial. According to Charles Boyd, MD, a plastic surgeon with practices in Michigan and New York, "In the first 24 hours after an injection, you could potentially move the Botox from a muscle where you injected it into a muscle you did not intend," he says. "That doesn't mean it's going to move from your forehead to your neck, but maybe from your eyebrow to your upper eyelid." Simon's clients wait two weeks post-Botox for an electric facial, then return for monthly follow-ups (per skin's renewal cycle, which is 28 days). "Botox and electric facials are great companions. I could spend hours smoothing lines out and then my clients will walk out the door and make the expression that caused the wrinkle 1,000 times that night," Simon says. "Botox is very efficient at knocking out expression wrinkles. Electric current fixes everything else­—it's the cherry on top." Non-Surgical Facelift Microcurrent is known to be the most effective non-surgical method to take years off the face. Our treatments take the efficacy of microcurrent to a new level by pairing it with gentle, Myofascial Release points used on the face to lengthen and relax facial muscles. Along with award winning Osmosis skin care products, this combination provides dramatic results and is incredibly relaxing. Since microcurrent is sub-sensory, and since our gentle Myofascial is so stress releasing, most patients fall asleep during treatments. Non-Surgical Facial Bio-Ultimate microcurrent treatment was performed during a feature on Oprah titled “Look 10 years younger in 10 days”. The Bio-Ultimate Platinum has been touted to be “the single most powerful tool for skin therapists.” Not all microcurrent equipment is created equally. The ability of microcurrent to positively affect the tissue and the results that are achieved are completely dependent on not only the sophistication and engineering of the machine, but also on expert application by a trained practitioner. This is why at Blue Water Spa we use the Bio-Ultimate Platinum along with other machines, and are fully trained to share these revolutionary and personalized treatments with you. Microcurrent is a low level of electricity that mirrors the body's own natural electrical currents, triggering chemical reactions at a cellular level to enhance the production of natural collagen and elastin, provide circulatory benefits, and re-educate the muscles of the face. The result is immediate firming, smoothing, and re-hydration of the skin while reducing the appearance of fine lines and wrinkles. Microcurrent lifts, sculpts and tightens, provides immediate results, and has no downtime. Non-Surgical Facelift We first need to understand what causes our facial skin to wrinkle and sag. As we age, our muscles become accustomed to certain expressions and tend to get stuck in these positions. A great example of this is the furrow between the eyebrows that many people get. At the same time, other muscles in our face are hardly ever used, and they begin to atrophy, which leads to sagging. An example of this can often be seen around our jaw lines, chins and necks where we tend to develop sagging or loss of definition as we get older. As we age, skin cells become less active, which leads to a breakdown of collagen and elastin. By the age of 45, the upper cheek muscles may elongate by as much as half an inch, dragging the skin over the cheeks downward to form plump little pouches at the corners of the mouth. The muscles under the chin become loose and the jaw line loses its firm contour. Non-Surgical Facelift Since you are re-educating the muscle tissue, it is crucial that you receive a series of treatments for results to reach their maximum potential. Once a series is completed, the results can be maintained by by coming in every 4-8 weeks for maintenance treatments. Additionally, a series can be repeated every few years. If the full series of treatments is completed and maintenance sessions are continued on a monthly basis, results should last 3-4 years. 500% increase in cellular energy (ATP) to muscle cells leading to increased muscular tone 12% increase in 20 days in natural collagen production to increase hydration and fullness 48% increase in 20 days in natural elastin production 39% increase in 20 days in blood circulation What are the benefits of Microcurrent treatments? The number of sessions depends on the client age and skin condition. The effects of microcurrent are immediate and cumulative. Clients go through a series of treatments followed by regular maintenance to keep a more youthful appearance. Each time a treatment is performed the new contour maintains its position better and longer. Typically clients will notice about 5 year reduction in facial aging. As part of our 90 minute microcurrent facial, you will experience the luxury of Osmosis Skin Care, which was voted favorite skin care line for 4 consecutive years by Spa Professionals and #1 for skin care results in the holistic skin care industry. Osmosis uses only the purest ingredients without any harmful chemicals or additives, chosen to give premium results to all skin types. 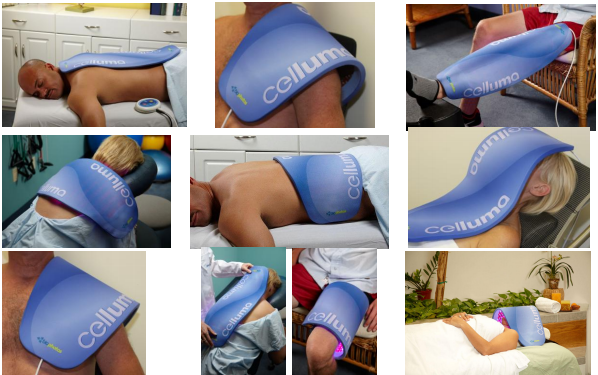 Celluma LED Biophotonic Therapy, $20 per 15 minutes. One of the most acclaimed and documented treatments for aging, healing wounds, improving skin diseases such as eczema and treating brain tumors and compromised skin cells (such as in the mouths of cancer patients), LED light therapy is fast becoming a revolution in health care. LED light therapy is a non-invasive procedure done with panels of red and/or infrared lights that deliver low-level pulses of light up to three times brighter than the sun to activate skin cells. It works like photosynthesis for the skin – it converts light energy already found in skin cells to promote healing and anti-aging effects. Vitality is a universal desire, across cultures and across the ages. People want to retain and regain their vitality, they want to feel young, act young and look young. And they want to do that in an affordable, reliable, effective and convenient manner. Americans spend in excess of $1 trillion annually in the pursuit of vitality and a healthy lifestyle through combinations of pharmaceuticals, over the counter medicines, energy devices, injectables and alternative medicine options. Modern medicine addresses vitality by focusing on the symptoms or effects of aging, disease and trauma, compensating for less than optimal life choices, genetics and environmental conditions. The underlying cause of vitality loss is compromised cellular function and is often considered less important than a quick fix to the resulting undesirable effects. This approach to health and wellness has proven expensive, unpredictable, ineffective, inconvenient, unsustainable, and, in some cases limited by unpleasant side effects and safety concerns. Central to the retention of vitality is proper cellular function. The human body is a remarkable machine, capable of sustaining and repairing itself. Unfortunately, this capability is interrupted by aging, as well as the stress, strain and behavioral choices of modern life. Re-regulating less than optimal cellular function is the first step to retaining and regaining vitality. At the end of the last century, research scientists and physicians at NASA’s Marshall Space Flight Center began investigating the impact of microgravity and hypergravity on human and plant cell growth. Concerned for astronauts who might be injured or become ill in long term space flight, NASA studies determined that Earth’s gravity is necessary for normal human cell growth, noting that “wounds heal less effectively in space than here on earth”. LED light therapy has been scientifically proven by over 300 clinical trials to re-regulate cellular function in the treatment of many common conditions, restoring the body's natural ability to heal itself. Contrasted to many widely accepted therapies where vital tissue is intentionally damaged to illicit a healing response in the affected area of the body, using LED light to "reenergize" cellular function in a non-invasive manner allows the body to maintain vitality as nature intended. "LED reacts with cytochromes in the body," explains Dr. Harry Whelan, professor of pediatric neurology and director of hyperbaric medicine at the Medical College of Wisconsin. "Cytochromes are the parts of cells that respond to light and color. When cytochromes are activated, their energy levels go up, and that stimulates tissue growth and regeneration." Phototherapy Programs While all programs utilize all of the LEDs, the intensity and the duration of use varies with each program. When should I use “Acne”?Use the Celluma Acne program at the first signs of acne breakout. The treatment consists of 8 treatment sessions spread over 4 weeks, allowing 2 treatments per week, once every three days. When should I use “Anti-Aging”? Use the anti-aging mode for management of wrinkles and sagging skin. Use as often as desired. Outcomes may vary. When should I use “Aches & Pains”?Use the Aches & Pains mode for management and temporary relief of minor muscle and joint pain, stiffness, minor arthritis pain or muscle spasms and to provide a temporary increase in local blood circulation. Do this once every three days per area. Q: What is biophotonic therapy? A: Biophotonic therapy is based on LED technology and is the application of light energy to the body for therapeutic benefits. It promotes a natural photobiochemical reaction similar to the process of plant photosynthesis. NASA's Space Program has proven that LED light therapy (near-infrared) promotes wound healing and human tissue growth. The energy delivered by the Light Emitting Diodes (LEDs) has been shown to enhance cellular metabolism, accelerate the repair and replenishment of damaged skin cells, as well as stimulate the production of collagen - the foundation of a healthy and smooth skin. Research has shown that LED Light Therapy may help to smooth skin texture, improve skin firmness and resilience, increase the lymphatic system activity, restore skin's natural cellular activity, and reduce the appearance of fine lines, wrinkles and superficial hyperpigmentation. The treatment is for all skin types and it is nonablative, non-invasive, painless with absolutely no downtime. Patients or clients can return to their normal activity immediately after the treatment. Q: Are there any harmful side effects to biophotonic therapy? A: Biophotonic technology generates negligible amounts of heat, is clinically proven to be safe, and has achieved non-significant risk status for human trials by the FDA. Q: Does biophotonic therapy hurt? A: No. Biophotonic therapy is non-invasive, and is painless when used as intended. Q: How safe is biophotonic therapy? A: Biophotonic therapy is based on light-emitting diode (LED) arrays developed for NASA manned space flight experiments. In comparison to lasers, the patented LED 14 technology generates negligible amounts of heat, is clinically proven to be safe, and has achieved no significant risk status for human trials by the FDA. Phototherapy has been studied extensively in Europe and the US for over thirty years and has been the subject of over 2,500 scientific papers, published worldwide. There are no reported negative side effects to the therapy, which is painless, non-toxic and compliments many traditional therapies. In 1991, the National Institute of Child Health and Human Development along with the National Institute of Neurologic Disorders and Stroke, declared phototherapy to be safe. Q: Does biophotonic therapy utilize UV light? A: No. Biophotonic devices utilize a combination of blue, red, and infrared (not visible to the naked eye) light emitting diodes (LEDs) only. Q: How long does a Celluma session last? A: 30 minutes. Q: Are there any special preparations required before using Celluma? Celluma should be in close proximity with the skin which should be free of clothing, make-up, or anything else which may deflect the light away from the skin. Q: Why do I need to remove my make-up? A: Many make-up formulas contain minerals that may deflect the light. Clean, freshly washed skin is recommended for best results. Q: Is it necessary to lie down to use the Celluma? A: No. You can use the Celluma when sitting or lying down. For example, there are two ways to use the Celluma for the lower back region. The user may either sit comfortably in a chair with the Celluma curved around the lower back area, or alternatively, the user can lie face down and place the Celluma over the lower back region. The key benefit of the Celluma is its unique ability to mold its shape to conform to the profile of the body. We borrowed this article from http://swiftcraftymonkey.blogspot.com/. There is a wealth of knowledge on this site. Alpha hydroxy acids orAHAs come in many forms, but we are probably most familiar with the glycolic (this lovely molecule), lactic, and citric acid versions of this water soluble carboxylic acid. I'm sure you've read a million times how fantastic AHAs are for our skin, but how do they work? The official statement is they induce epidermal effects through corneoctye disadhesion, operating by disrupting the ionic bonds between the cells so they can slough off and expose newer and lovelier cells underneath the stratum corneum, or top layer of cells. They also work as an anti-oxidant and can relieve post sun redness. All of these things make fine lines and wrinkles appear less obvious, reduce redness and inflammation, and expose new, shiny skin to the world. AHAs work by penetrating our skin through the stratum corneum to the stratum granulosum. It acts as an exfoliant on the top layer of our skin by disrupting the bonding between the cells and allowing them to slough off, revealing those new and lovely cells I spoke of earlier. With salicylic acid or BHA, this sloughing off of the skin occurs at the stratum corneum layer: With AHA, this happens at the stratum granulosum level, with the cells being pushed up, as it were, to reveal new skin. In one study, a lotion with 12% lactic acid increased the appearance of rough skin, increased exfoliation, and increased skin hydration by 33%. In another study, a 10% glycolic acid cream showed the exposed skin had a pinkish colouration with a shiny smooth surface. Laser Hair removal, Now is the time! laser Hair Removal can be one of the most satisfying, salon treatments one can have. At Blue water Spa we have numerous patients who swear that this was the best thing they have ever done, making their lives easier, saving them from embarrassment, making them feel better about themselves. Advice to clients wanting to go the hair removal route: Always do your research properly, see different clinics, therapists and maybe even have a test area done. Always make an informed decision and never be bullied by clever sales consultants and advertising. What is laser hair removal? Laser is used damage the hair follicle, preventing further hair growth. Lasers target dark, thick hairs best, and the hairs need to be in the anagen phase of growth. As hairs pass through three different stages of growth, some may not be in the anagen phase at the time of treatment, which is why multiple treatments are needed. The laser emits a gentle beam of light that passes through the skin, to the hair follicle, where it is absorbed. Upon absorption, the laser energy is transformed into heat, which disables the follicle. What is the difference between laser and IPL? A Laser has an exact wavelength. An IPL (Intense pulsed light) does not have an exact target (wavelength) it uses a broad band of light somewhere between x and y; it is therefore ‘hit and miss’ as it is not predictable IPLs produce a wide bandwidth of light that can heat up all of the surrounding tissue, making it less effective in disabling hair and putting the patient at a higher risk for burns, especially on darker skin). Blue Water Spa does not recommend the use of IPL systems! How do I know if I’m a good candidate for laser hair removal? Anyone looking to permanently remove/reduce hair in an area is a candidate. Generally speaking, white, brown, black, male, female – if you are concerned about unwanted dark hairs, you are probably a candidate for laser hair removal. Other factors can influence the treatment process, but these are generally best evaluated and discussed in person. What body areas can be treated? Because of the safe cooling features of our lasers, just about any area on the body can be treated. This includes such sensitive areas as the lip, ears, nose, and groin area. The only areas that cannot be treated are those covered with a tattoo or permanent makeup, and the eyelid, due to sensitivity of the eyes to laser light. How long does it take? Each laser pulse treats about a half inch area, which can contain ten or more hairs. The amount of time needed depends on the size of the area to be treated. The lip usually takes less than one minute; other areas, such as the leg, may take significantly longer. We normally advise that 6-10 treatments are needed for a 75-90% reduction in hair growth. How effective is it? Most people are thrilled with the result (often even after only one treatment) and remaining hairs tend to be much lighter, softer, and finer. What should I expect? Your laser therapist will first cool the area to be treated. She will give you a pair of goggles to protect your eyes. Then she will move the laser slowly over the area. It will be a bit painful, but manageable, and it’s over quickly. Initially, you will need to return every 6 weeks until the hair growth slows down, then every 8 weeks. You may be red and sensitive over the area for a day or two, and may have small raised bumps that usually settle quickly. Laser Hair Removal Vs. Electrolysis: Which is better ? Laser Hair Removal Vs. Electrolysis: Which Is The Most Effective Hair Removal Method? In order to get rid of facial hair permanently you must choose your treatment plan carefully. Whilst you are likely to come across a host of options, which includes some of the best quality of hair removing creams and topical agents, the best choice does not go beyond lasers or the most effective electrolysis treatment. However, the choice between laser and electrolysis is a matter of concern. Annoying and unwanted facial hair should be removed with a lot of care and precision. Because you cannot hide these hairs under your clothing and you would have to struggle in choosing the best process for getting the job done effectively. So, which is a better choice, laser or electrolysis? Laser vs. Electrolysis: Can everyone use it? The mainstream lasers are only meant for people with light skin tone having dark hair. It can burn the dark skin, which will hinder best results. 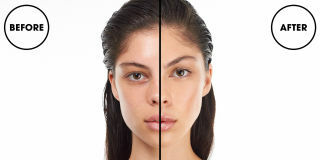 There are some Lasers that aren safe on darker skin, but you must make sure the practicioner is well seasoned and comfrtable using that particular wavelength Advanced laser techniques are being created to ensure that people with combination of light and dark skin can use them effectively. Electrolysis can be done on anyone, irrespective of the skin color or type. The process attacks hair follicle at its roots, without causing pigmentation. Laser hair removal takes very little time. Because the facial area is smaller, it will not be a time-consuming endeavor. It takes approximately 15 minutes for a complete session, but a series of treatment is needed. Spaced about one month apart, it might take four to six comprehensive treatments to achieve the best result. Electrolysis treats each hair follicle individually, which takes more time. It will take 15 to 30 sessions, and each session will take approximately 20 to 30mminutes to complete. Laser is an some what a pricey procedure. Each visit may cost you anywhere around USD $40 to USD $300 depending on the size of the entire area that needs to be treated and facilities given. Electrolysis, on the other hand, costs USD 45 per session. Laser causes mild sensation of pain, usually like that of a band snapping against the skin, with the sensation of heat. Pain is felt according to the tolerance power of an individual. Dark and coarse hair feels more pain and a burning sensation. Electrolysis causes pricking and stinging sensation; each hair follicle is passed through the sensation. Laser can have dangerous side effects if it is not used efficiently. Scarring is another rare possibility with lasers BUt usally is a side effect of the technician not having proper training. If electrolysis is not done properly, it can lead to skin discoloration. If your skin color is dark and you have a light hair, you cannot rely on the standard laser treatment for hair removal due to the safety issues. Therefore, electrolysis will be the only solution. Also, electrolysis is cost-effective and works on all skin colors and types. But it is very tedious and takes a long time. We’re always skeptical when brands rave to us about how “miraculous” their products or treatments are, so you can’t blame us for raising an disbelieving eyebrow when we were pitched this hyaluronic oxygen treatment by Australian brand Intraceuticals — neither of those things are new or revolutionary. Hell, we’ve had tons of oxygen treatments over the years and while lovely, they weren’t anything to write home about. Well, that was before we had a sit-down with the lovely Gina Brooke, a major name in the cosmetics game and Madonna’s go-to makeup artist. Brooke discovered the brand through their skin care line and was intrigued. After getting in touch with the founder, she learned about their professional Clinic Treatment, a machine that “uses oxygen under pressure to deliver a special serum of low molecular weight hyaluronic acid, essential vitamins, antioxidants, and peptides” into the skin. She gave the treatment a try, loved it, and started bringing it along on her jobs with her celeb clientele. Well, apparently they all liked it so much (Madonna, the Beckhams, Jessica Biel and Justin Timberlake, and yes, even Kim Kardashian are all proud owners of their own personal machines) that it’s become a real thing in Hollywood. While the treatment has been offered to the public for a few years now, it stayed under the radar, with a select few spas offering treatment and very little press circulating around it. That’s all about to change, because the brand, realizing the potential of their star treatment, is rolling out the red carpet for the Clinic Treatment. Starting today, the treatment is being offered at The Carlyle’s Sense Spa. We had the opportunity to try it out for ourselves and now we can definitely say we see what all the fuss is about. The treatment takes about 40 minutes and consists of you lying on a table, fully clothed, while the aesthetician runs the wand over your face, spraying it delicately with the serum. Your lips also get a few spritzes, and then the treatment is followed up with an application of the brand’s three-step hyaluronic moisturizing system. It’s recommended you get a treatment once a week for about six weeks in order to see the best results, but we saw an immediate improvement in our skin after just one. Our skin and lips were visibly plumped and smoothed, and we could see the contours of our face were more defined, not to mention the healthy, dewy glow we walked out sporting. Our aesthetician told us that we would see the best results 24 hours later, making this an ideal treatment to do the day before a big event. The effects of the treatment can last up to five days after, although we were informed you can enhance the effects by getting microdermabrasion first. It’s not cheap — but as far as oxygen treatments go, this is the one time we didn’t feel like we were flushing our money down the toilet for something that we could kinda see a difference with. The Latest from Blue Water Spa Is it your first time at the spa? Relax! This article will walk you through the basics. If going to a spa for the first time makes you nervous, you're not alone. Many people have their first spa experience when they get a Gift Card to a day spa . Some people don't even use the gift certificates because they're anxious about what will happen and the finer points of spa etiquette. The biggest area of concern is taking your clothes off for a massage. Don't worry! Modesty is always preserved during our Massage Treatments. You can keep your clothes on for certain types of massage, like reflexology. Of course if you are really shy you can get a facial, where they massage your face and arms but not your whole body. When it comes to tipping there are lots of questions people have. First ask if tips are inlcuded. The frontdesk shoud be very help ful in this area. Most people feel comfortable tipping 15% - 20%, which depending on the service is anywhere between $15-$20 per treatment. Sign up For Email Blasts. Spas don't want to advertise their spa deals, but they email or text deals to regular customers. You'll find out about last-minute discounts, even free treatments, classes and lectures. It's a great way to save money at the spa. Watch For Spa Week. With $50 spa treatments, this is one of the best ways to save money at the spa. Spa Week takes place in major markets twice a year. Buy A Series. Treatments that require a series, such as laser hair removal and Microdermabrasion, are usually cheaper when you buy a series upfront. But it's only a bargain if it's the right treatment for you. 4) Which Treatment should you choose? I would talk to the front desk personel about what your looking for. If you have acne and are looking to improve the overall apprearance of ytour skin than you shoudl stick to a facial, Whereas if you are looking to relax we would reccomend a massage, body wrap or scrub. Most people stress out over their time away from the many obligations of home life. Please, do yourself a favor, give yourself 1 hour of uninterupted relaxation time. You never know when you might have it next. I was sorting through my make-up drawer this morning and I realized that I have so many old items in my draw. Then I thought, when should I toss these? Tips for keeping your skin clean and your makeup fresh — Smell your cosmetics; if they have an unusual odor, they may contain bacteria and should be discarded. — Always make sure that products are closed tight and stored out of sunlight, as this can destroy the preservatives. — Don't use any eye products if you currently have an eye infection. — Never add any liquids to products unless directed by the manufacturer. — If there are any changes in color and texture, dispose of the product immediately. — Avoid sampling makeup at department stores when possible. If you do test, never apply directly from the makeup. Instead, use a clean, disposable applicator (i.e., cotton swab, sponge) to apply cosmetics. Makeup sponges Wash after each use, then throw away after a month. Proudly voted "Best Day Spa" by the Long Island Press in 2011, we uphold that honor by offering the best spa services on Long Island. From massages and waxing to facials and microdermabrasion, we provide luxurious treatments in a comfortable atmosphere, whether you're in a private room or resting in the sitting room. With the latest in industry technological advances, we discuss and implement a plan that will make your dreams for your body come true. You can be confident that we perform nothing less than the safest and most effective treatment at Blue Water Spa. Though many of our services are targeted to the skin and muscles, we also offer excellent hair removal for men and women. Say goodbye to unwanted hair, and hello to your summer ready body with the laser and waxing treatments of Blue Water Spa. Pamper and love yourself with massages, facials, hair removal and so much more at the Blue Water Day Spa of Long Island. Our experienced professionals will offer you nothing but the best in skin and body care in the Huntington area. We'll look forward to welcoming you with a smile. Skin needling is a recently embraced procedure here in the U.S.. Skin needling, also called Micro needling, has been a standard procedure in Europe for decades. Advances over the years led to the development of automated micro needling and the development of the DermaPen®. Highly effective on hard to treat areas, the micro needling Dermapen treatment creates an environment that is ideal for inducing and rejuvenating collagen and elastin. We pair the Dermapen with a complementary cell booster technique which feeds the basal layers of the skin with nutrients while a “vertical stamping” needling process stimulates collagen production. The Dermapen’s controlled precision creates micro injuries to the skin that encourage natural re-growth and repair and tightening. The benefit of Dermapen is that there is little downtime so treatments can be completed on an out-patient basis. We recommend a minimum of 2-3 treatments to achieve noticeable results, with 5-6 treatments providing optimal effects.The premise is simple - create a small wound and the skin will respond with collagen production and new skin cells. Depending on the depth of the needle penetration, the DermaPen can offer skin rejuvenation levels from the simple enhancement of product absorption to the clinical treatment of scars and wrinkles. What can the DermaPen be used for? DermaPen allows the physician to quickly treat specific skin areas - large or small - to achieve a number of goals. Treatment on the face is the primary location, but skin needling can successfully be used on any area of the body. How deep does the DermaPen go? Light penetration opens the skin long enough for the introduction of specific treatment serums. Since most product molecules are too large to cross the skin barrier, they can only be minimally effective. The DermaPen opens the skin for a few minutes and this allows a huge increase of product penetration - your product ingredients can then reach beneath the surface where they will do the most good. Treatment serums can be selected for skin lightening, hydration, texture and pore tightening. DermaPen reduces the risk of post treatment pigmentation that is more prevalent with laser heat for ethnic skin (Patients will still need to use sun protection and avoid heat exposure while in the recovery phase. Superficial treatment levels are very tolerable with nothing more than topical numbing gel (the lightest application requires no numbing at all)applied prior to the treatment. In the instance of aggressive treatments, Blue Water Spa will discuss the options for making the treatment the most comfortable for you. Freshen up your skin and reveal a whole new you without irritation or down time. The Blue Water Spa in Long Island offers you diamond tipped microdermabrasion for a youthful glow. Often, clients will complain about dry skin. What many don't know is that they have a buildup of dead skin cells that is creating a barrier between their absorbent skin and moisturizer. Microdermabrasion sweeps away dead skin that dulls your complexion and keeps out the moisture. The treatment is fast, safe and takes only minutes out of your day. You can see why this is the most popular service at the Blue Water Day Spa. We all want younger looking skin. What so many people don't know is that new skin is growing beneath the dead cells, and all it needs is to be revealed. Microdermabrasion is one of the latest advancements in skin care and restoration, and is a great solution to many skin issues. While it used to involve blasting tiny crystals toward the surface of the skin, it now implements a diamond tip to minimize pain and irritation. Erase sun damage, wrinkles, fine lines and acne scars as fresh new skin is gently revealed. If you've thought of microdermabrasion as something only the rich and famous could afford, understand that this treatments is now very mainstream and quite affordable. In fact, many clients are opting for this safe and effective service in lieu of a chemical peel, face lift, Botox or plastic surgery. Men, like women, are also discovering the benefits of microdermabrasion. Human skin has two primary layers, the outer one being the epidermis, and the inner one called, simply, dermis. The epidermis has an outer layer of its own, and that layer is mostly dead skin cells. Beneath them, younger cells are constantly maturing. This most outer layer is referred to as the stratum corneum, and it functions as a barrier separating the younger skin from all but the smallest things from the outside world. Moisturizing elements, for the most part, cannot permeate the stratum corneum of the epidermis. Along with this buildup, discoloration, fine wrinkles, and more populate the layer of dead skin. Microdermabrasion does not go any deeper than the stratum corneum, but is strong enough to remove it, along with many minor imperfections. The process is not painful, and does not come close to the more sensitive dermis layer.